“Keep quiet and carry on” is the slogan that can best describe China’s take on the approaching 25th anniversary of the 1989 Tiananmen Square massacre. This is the yearly Tiananmen anniversary crackdown, and people within China know what to expect; slower internet, blocked search terms, more military personnel in public and the arrest of high profile individuals. But this year’s crackdown appears particularly thorough, either a reaction to dissent being higher than usual or a perception that it is in light of the milestone anniversary. The Chinese government has already jailed scores of lawyers, activists and intellectuals, sending a chilling message to any other would-be agitators. Of the most widely reported was the arrest of Pu Zhiqiang, a prominent human rights lawyer who helped organise the 1989 protests. His detention came three days after he joined a private panel discussion on the massacre. Around 15 people were at the event, five of whom have since been detained. Then there was the airing of confessions on state media by journalist Gao Yu and citizen journalist Xiang Nanfu this May, which echoes Maoist propaganda tactics. As we get closer to 4 June actions against freedom of expression will grow. Yvonne Shen, who is Asia News Digest Editor at Freedom House, an NGO committed to tracking violations to free expression, says the Chinese government “step up their censorship efforts in the days surrounding that date”. Within a week the organisation anticipate spikes in suspicious activity online. They are keeping a close eye on social platform WeChat in particular, given its current popularity. “There was a leaked document dated 31 May, 2011, from the Beijing Municipal Government, that suggested the authorities had launched a ‘wartime coordination mechanism’ that required all units to report suspicious information during the “sensitive period,” Shen tells Index of the government’s usual tactic. 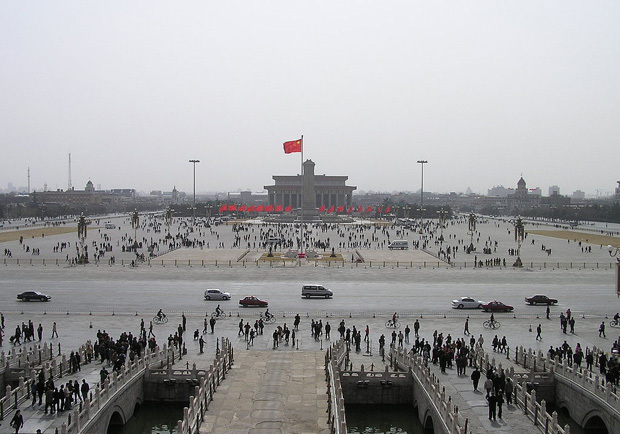 China forbids open discussion of the Tiananmen Square crackdown, in which soldiers fired on crowds of unarmed pro-democracy protesters, killing hundreds if not thousands (no official death toll has ever been released). On top of arrests, an army of censors work overtime to ensure mentions of the event are quickly removed. Sites are blocked and words that allude to or directly reference it vanish. As Fish says, the detentions form part of a broader crackdown on free speech. When Xi Jinping came to power in 2012, there were hopes he would relax censorship. These hopes were quickly dashed. Index recently reported on a ban of seemingly innocent US TV shows, which shows just how pervasive the attack has been. Even foreign journalists, who are usually granted more leeway, have experienced “a big uptick in pressure over the past two years,” says Fish, a reference to several prominent cases of journalist visas being revoked. This is a fact Steven Levine has had to accept. “I anticipate being refused a Chinese visa the next time I apply to visit China as this is one way in which the Chinese authorities punish foreigners who criticise their human rights practices,” explains the retired professor of Chinese history and politics, who coordinates the Tiananmen Initiative Project — an individual effort aimed at focussing attention on the Tiananmen Movement and government crackdown. Levine’s project has already been banned from the Chinese online world; within days of launching last November, the site had been blocked. Levine will not be deterred and continues to correspond with Chinese individuals inside the country, as well as with exiled Chinese who were either leaders or active in the 1989 movement. For him, being refused a visa is a price worth paying. It’s a different story for those inside of China, who take a much bigger gamble. That said many have come up with creative ways to circumvent censorship. For example, prominent writer Murong Xuecun avoided the censors by using the politically neutral word “tractors” instead of the highly provocative “tanks”. And while “4th June” is blocked, the new code of “May 35th” has filled its place — a count of that month’s 31 days plus four in June. It’s a game of cat and mouse. Ultimately, the cat is winning, but the mice aren’t going down without a fight.